David survived the London Blitz in WWII and his wife Sophie lived under Nazi occupation in France. Her school was taken over by the Germans for their local headquaters. 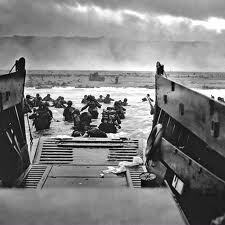 This is the reason David has dedicated his book to the Americans & Allies who saved Europe from tyranny. The WWII veterans David has interviewed are named below as a token of his family's gratitude for their brave service. Sadly, many of them have passed away since publication. 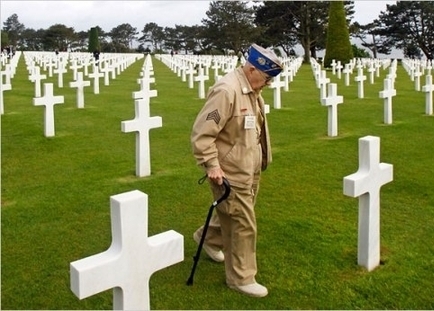 Over 500 WWII veterans are dying each day and there only about one million left for us to honor their sacrifice. In fact, the whole world owes these brave souls a debt of gratitude that can never be sufficiently re-paid. The least we can do is to never, ever forget, the magnitude of their sacrifice or of their bravery. Allan Pixton was a 24 year old Lt Colonel 5th Engineer Special Brigade (Big Red One) Ist Infantry Division June 6 th 1944 Normandy Invasion.Retired as Brigadier General. Was 94 in 2013. James D. Hammet, based in Mayberry and Ramsberry UK Flew as co-pilot of glider for 436 troop carrier over Omaha Beach Normandy June 6 1944 Pilot was E.J. O'Donnel. They picked up 4 German prisoners on the way back to the beach. Robert Lee Swofford: Was a 21 year old B24 pilot in the 445th USAAF Bomb Group and in the 700 Squadron when sent to England. He and his crew flew 30 missions beginning with the Normandy invasion bombing the bridges of Cairns. Robert received 2 DFC's & 5 Air Medals, The Freedom of Normandy & his Unit received the Croix de Guerre.Robert retired as Captain and then flew for United Airlines. He was 92 before Robert sadly passed away in November 2014 since this was published. Joseph J. Turecky was a lieutenant pilot in the 440th Troop Carrier Group, 96th Squadron. He flew a C-47 with a designation Bristol "G" George, tail number 915. Participated in the 4 airborne invasions; Neptune (Normandy, Second day), Dragoon (Southern France), Market Garden (Holland) and Varsity (The Rhine). After dropping paratroops in Neptune, Dragoon and Market he towed gliders, following the paradrops. Joe's airplane was hit by ground fire in Normandy and Holland. He helped deliver gasoline to General Patton's tankers in his relief of Bastogne. James L. Miller: US Army 1st Division, 16th Regiment, E Company. Normandy Invasion Omaha Beach on D-Day. Printis Sibley 2nd Infantry Division U.S.Army. Was a medic as a 1st responder to Normandy Invasion injured soldiers. Also involved in Battle of The Bulge, Brest, Crossing the Rhine and battles in Germany, Retired T5 aged 92 in 2013. Robert Blatnik U.S. Army 26th Regiment - 1st Infantry Division. Was part of Omaha Beach Red Fox day 1 Normandy Invasion. He was also fought in Nigerian French Morocco, Tunisian & Sicilian Campaigns. He went on to fight in Belgium 7 Germany being wounded and returning to the USA to recover. 510th Fighter Squadron, 405th Group, 9th Air Force. Charlie flew 97 missions beginning on D-Day over Normandy. The Thunderbolt was certified to operate from 5000' all concrete runways, but, reality of war he flew from 4500' wire mesh in the UK, Christchurch and in Picauville France from 3800' Tar Paper. Was told once he flew so low he got grass stains on his plane, but really it was a wheat field and it stained his propeller tips! He flew missions into Holland and Germany from his base airfield in St Dizier South of Paris. Awarded the Distinguished Flying Cross, Air Medal, and 16 oak Leaf Clusters, Presidential Unit Citation. He retired from Service as a Captain.He volunteered his time to the Frontiers of Flight Museum in Dallas. Sadly, Charlie passed away at 92 in 2014 soon after this was publshed. Leon C. Sparkman: Was a 21 year old Lieutenant flying Thunderbolt fighters in the 510th Squadron, 405th Group 9th Air Force. He flew air cover over all the Normandy D-Day Beaches. Was hit 3 times but was never shot down. Like his fellow Thunderbolt comrades in the 510th Squadron he had to land and take off in a French field on Tar Paper runways until they were able to capture the airfiled at St Dizier where the could utilize concrete runways. Went on to fly missions in Holland, Luxumbourg & Germany. Awarded the Air Medal with 16 Clusters, a Distinguished Flying Cross, Campaign Medals with 4 Stars. Retired as a Lt Colonel. Sadly, Leon passed away in September 2013 after this was published. Charles (Chick) F. Bruns: lives in the East Central Illinois town of Champaign. A local athlete, Chick joined the Army in 1941.He was with the 7th Army, 3rd Division, 10th Combat Engineers, A Company. In October of 1942 he was sent to the European Theater. He participated in the invasions of North Africa, Sicily, Italy, Anzio and Southern France.His final rank was T-Sergeant. He received the Purple Heart for wounds received on Anzio. He also received the French Croix de guerre twice and was recently honored by France with the French Legion of Honor. Chick was 96 at time of publication. Ralph C. Jenkins: Was a 25 year old Flight Commander flying Thunderbolt fighters in the 510th Squadron, 405th Group 9th Air Force. Became Squadron Commander and flew 129 combat missions beginning on D-Day Normandy. After airfield estabished in Picauville near St Mere Eglise by demolishing an apple orchard on June 29th 1944, laying down tar paper on the grass.He remained there until 11th September 1944 and was happy when Germans left Cherbourg airfied so Thunderbolt squadrons could land on concrete runway.Almost all of his airborne missions were against the German Army and the roads , railroads, canals and airfields used by them. 2nd Lt William E. Varnes, Lt Col Bruce F. Parcell, 2nd Lt Clifford B. Russell and 1st Lt Benjamin F. Savage. Ralph remembers attending their burial in a virgin field at that time. He understands that today it is now a most beautiful tribute to those who fell there. When Lt Col Parcell was killed in action near St Lo, Ralph was given command of the 510th Fighter Squadron and retained that position at St Dizier France, Ophoven Belgium, and Kitzingen Germany until VE Day on May 8th 1945. Flew combat missions into Holland,Arnhem, and Market Garden campaigns. Received Silver Star, 3 Distinguished Flying Crosses, 24 Air Medals with Oak Leaf Cluster, and Croix de Guerre Etoile de Vermeil. Retired as Lt Colonel and is now 97 years old in 2016. Some other members of his old Squadron can be found here on this web site, namely; Charlie Morhle, Leon Sparkman & Arlie Blood. Joesph W. Geary: Captain, US Army Air Corps. Navigator - B-24's 15th Air Force, 450th Bomb Group, &21st Bomb Squadron - Manduria, Italy. Flew over 50 missions, including Ploesti,Vienna,Munich & Budapest. Awarded Air Medal & 3 Oak Leaf Clusters, Good Conduct Medal, America Campaign Medal. Jack Bennett: 18 years old when drafted & after training was assigned to the 1st Infantry Division (The Big Red One). At age 20 he landed on Omaha Beach in the Normandy Invasion. His platoon fought their way through the fortifications, and advanced through dairy farms & apple orchards while liberating a series of small villages in NW of France as well as Belgium.They were the first to enter Germany at AAchen where he was wounded Oct. 13 1944 near there, and spent 6 months in an army hospital in England before being returned to the USA..
Jack was awarded the bronze Star, Purple Heart w/Oak cluster, Good conduct, Atlantic Theatre, North Africa-Eurp w/arrow Head and 4 battle stars, CIB, French Saint Maurice. On Friday May 10, 2013, the Vice-Consul General of France from Houston came to Jack's house & on behalf of the French Government awarded him the Knight of the French Legion of Honor. James is a retired United States Army officer who commanded a platoon in Company "H" of the 3rd Battalion, 504th Parachute Infantry Regiment, 82nd Airborne Division during World War II. Wikipedia He is "the most-decorated officer in the history of the 82nd Airborne Division"
Service/branch: United States Army Allegiance: United States of America. Awards: Distinguished Service Cross, Silver Star. 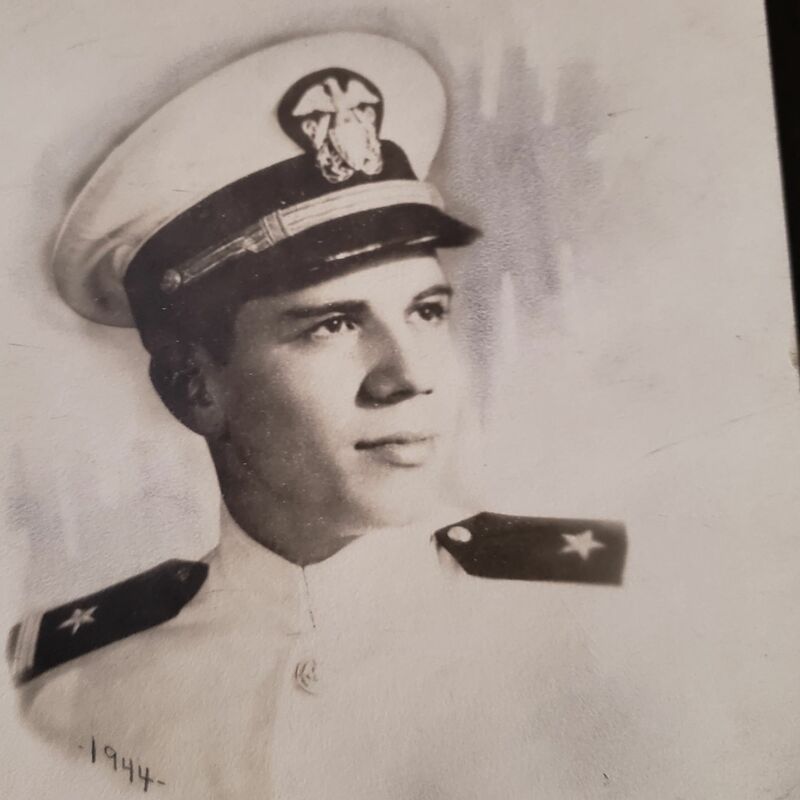 Robert N. Bray: Joined the Navy after college and trained as a Navy pilot. During the war he served for 2 years on anti-submarine duty in the Atlantic while based at NAS in Bermuda. German U-boats were creating havoc on Allied convoys to Britain and Russia. Robert played his part in helping to chase & destroy enemy submarines. Robert served additional time on Kaneohe Marine base on Oahu Hawaii. He helped rescue and pick up Air Force pilots in the pacific Ocean from their downed planes. He was involved in the Day+2 landings on Utah Beach. Originally he joined 357/F as a replacement. Then was transfered to Co G on June 23, 1944. Wounded on June 27 and sent to hospital. Returned from hospital December 26, 1944. Promoted to Private First Class January 3, 1945.Was re-hospitalized January 24, 1945. Currently living in Belgium 2013. Arthur A. Kirscht: Was drafted out of college at age 17 and trained as an infantryman in the 100th Infantry in the 7th Army. Participated in the invasion of Southern France through the port of Marseilles. He fought through France up into the Rhone area where the 7th Army met up with the 3rd Army and the Free French Army. At Strasbourg during a battle at St Blais where they fought for the possession of Hill 578 Arthur was wounded by a German 88 that ripped through both his legs severely damaging his right leg. He ended the war with a Purple Heart, Bronze Star and a Combat Badge. He was 91 years old at time of publication 2014.
by Al Reinart on Ray and his wartime service can be seen here. Arlie Blood: USAAF 510th Fighter Squadron 405th Fighter Group. As a Captain he flew as C Flight Commander on the Normandy Invasion missions from England. He then flew from airfields in Normandy on missions against German targets. His Thunderbolt was hit by enemy artillery which set his plane on fire. With 500 gallons of 100 octane fuel right behind his head, he had no choice but to bail out. Soon after leaving the aircraft it blew up. The Germans captured Arlie and put him on a Germany bound prison train. He cut a hole in the end of the box car and jumped off in the night. Arlie then joined the French Underground. Ran into a German roadblock and was captured again. Escaped at night while guards slept. Re-joined French Underground. He located the new French base of his old squadron and re-joined them. Arlie was sent back to an Escape & Evasion School to teach new pilots how to evade and if captured, how to escape. Click here to see a special page about Arlie & photos of his time with the French Resistance. William (Bill) Singer: Navy Amphibious Assault Beach Battalion 3rd Class Electrician. Normandy Invasion-Omaha Beach. Also served at Iwo Jima, Okinawa & Osaka. Medals include IWO, Silver Star, Oak Leaf Cluster, Normandy Medal. 88 years old in 2013. Roy A. Elsner: Entered USMC 1943 in San Diego. Made Corporal March 1944. 27th MarReg, 4th MarDiv. Attacked IWO JIMA , D Day, H Hour. Helped carry body of comrade John Basilone, CMH for burial on Day 2. A mile from volcano & attacking main airfield when famous flag raising made on IWO JIMA. Wounded in action 11th March 1945, lost tricep, left arm. Also head wound. Awarded Purple Heart with Star, Presidential Unit Citation, Asiatic-Pacific Medal, WW@ Victory Medal. Dischargd as Cpl, 23 Feb 1946 Current age 89. Often invited as a guest speaker on IWO JIMA. Roy passed away February 2014. Jeff Watkins: Was a British bomber pilot who had joined the Royal Air Force in 1940. He saw action in Africa and Europe eventually flying Lancaster and Halifax four engined bombers. He was part of the mission that sunk the German battleship Tirpitz. Jeff was awarded the Distinguished Flying Cross. He left the RAF as a Flight lieutenant and went on to make a fine career in aviation engineering. At 94 years old Jeff is enjoying retirement in San Diego California. To see the full transcript of his remarkable career in both WWII and in aviation engineering please click here. Richard Overton: Believed to be the oldest living American WWII veteran at 110 years old in 2016. Richard served in the Army and fought in the South Pacific campaigns from 1942 to 1945. He served in Hawaii, Guam, Palau and Iwo Jima among others. He has a number of medals to his name. Richard lives in Austin Texas and was still strong & spry when I spoke with him in 2013 at time of orginal publication! Conrad L. Lohoefer: Drafted into the Army at 19 before being transerred to 8th USAAF & trained as a Gunner. Was switched to Flight Engineering before being assigned to a B17 crew in Bassingbourn AFB in England 1943. Flew 35 bombing missions including 3 over Berlin. Received the Air Medal with 5 Oak Leaf Clusters. Ended the war as a Technical Sergeant. He was 89 years Old at time of original publication but has since passed away in 2015. POW: Captured in Rambervilles-Fremifontaine Oct 1944; Transfered by Germans to St Die & Strassburg, Lienberg, & finally to Stalag 3-C in Krustruin, Germany. Liberated by Russians in February 1945. MEDALS: Silver Star, Bronze Star, Purple Heart, POW as well as 5 additional Campaign medals including another four Bronze Stars and numerous Bronze loops. Aged 88 at time of publication in 2013. A.G. Samaras upon his graduation from college in 1943, joined the V-12 program (12 weeks to turn a civilian into a Naval Officer). Click here to read more about his time on Atlantic convoy, Normandy invasion & shooting down Japanese Kamikazis! David's father served in both World Wars. He was in the Buffs Regiment of the British Army and fought in France in World I. He was wounded and evacuated at Dunkirk in World War II. He retired with a rank of Sergeant Major and received numerous medals. He acted as a Fire Warden each night of the London blitz outside our hous in Clapham, London. Click here to see where the bombs fell around our house.